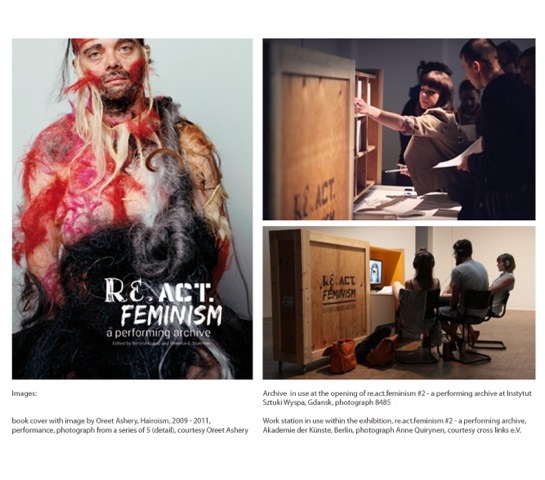 re.act.feminism – a Performing Archive is an ongoing long-term archive, and an exhibition project on feminism and performance art travelling throught Europe from 2011 to 2013 with archives, exhibtions, workshops, performances, talks, research and now a book. The works in the archive have been chosen based on their potential and relevance for today’s feminist and queer debates and artistic strategies. The aim of the curators is to create a living archive and they have created great resource site about feminist and queer performance artists.